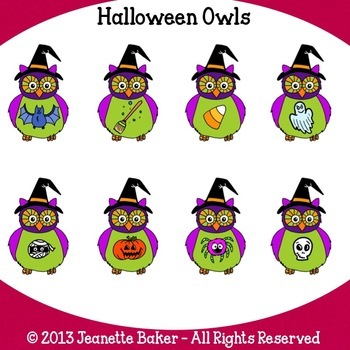 Halloween Owls Clip Art - File includes 8 unique custom clip art images (as seen in the first thumbnail image) by Jeanette Baker in both color and black and white outline. Each image includes a PNG version with a transparent background as well as a JPG version with a white background. 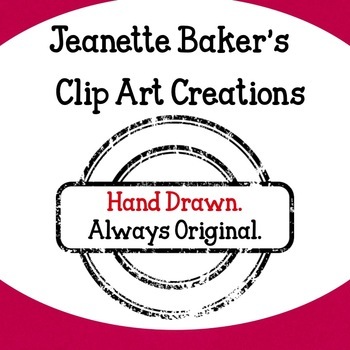 Jeanette Baker is an independent graphic designer and illustrator that sells her products through Jason's Online Classroom. 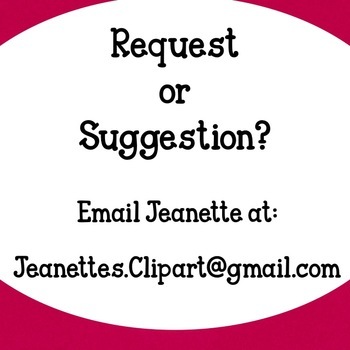 Do you have a request or suggestion? Email Jeanette! With your purchase, you are being granted permission to copy and print the design. All copyrights remain with Jeanette Baker. 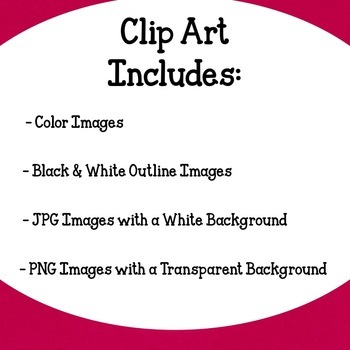 All paid and free clip art from Jason’s Online Classroom is available for personal and commercial use. There is no additional fee required for commercial use. Sign up for our EMAIL NEWSLETTER to receive important news, product announcements, and special deals and promotions. If you like the products in our store, make sure to FOLLOW US by clicking the STAR at the top of my home page to be eligible to win a $25 TpT Gift Certificate every month. Check out Jason's Online Classroom on the web for news articles, blogs, teaching resources, online educational courses, entertainment, and much more. Visit our page on FACEBOOK for exclusive giveaways. Join our 40+ Collaborative PINTEREST Boards with amazing resources pinned from hundreds of teachers from across the nation and abroad.